For the last couple months few visitors to HMNS Sugar Land have been able to traverse the hallway between our dig pit and the snack bar without stopping to admire the beautiful collection of photos visiting us courtesy of Fotofest. 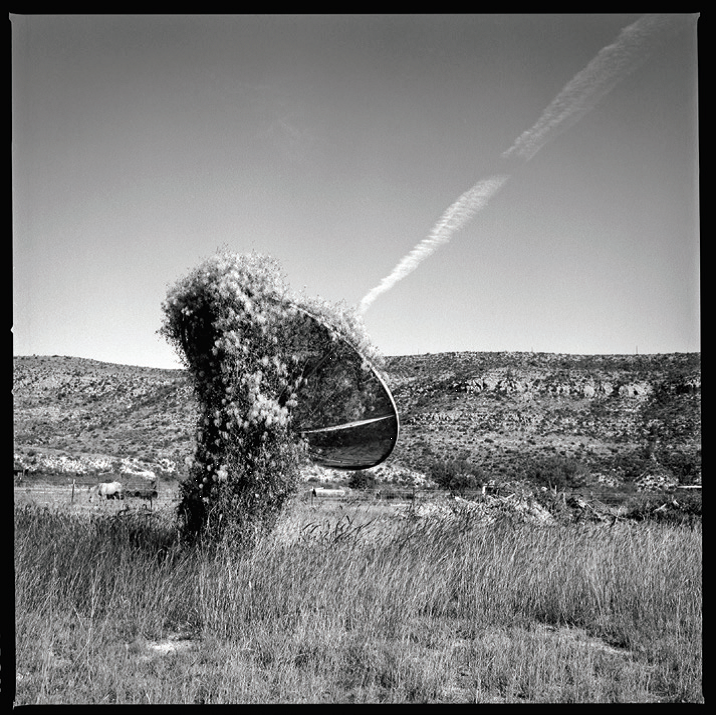 Even the most hangry of children, on their way to satisfy their appetite at one of our vending machines, have stopped in their tracks to admire the results of photographer Kevin Greenblat’s ramblings through west Texas. Now that the exhibition is over, we thought it would be interesting to hear some stories behind the amazing images that captured our imagination. Here’s are just a few of the tales that Kevin has to tell. 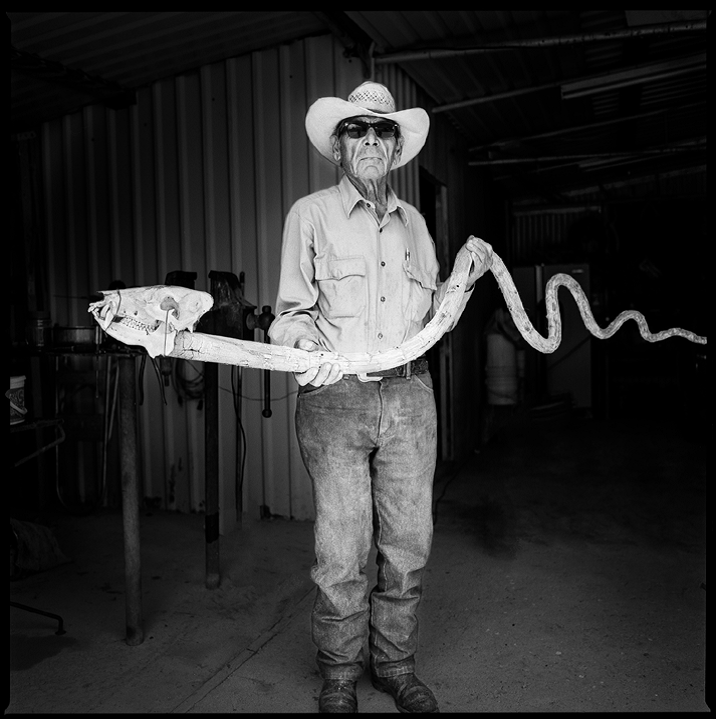 These photographs are part of a larger series of work that reveal the raw and subtle aspects of of the culture of my home state of Texas. 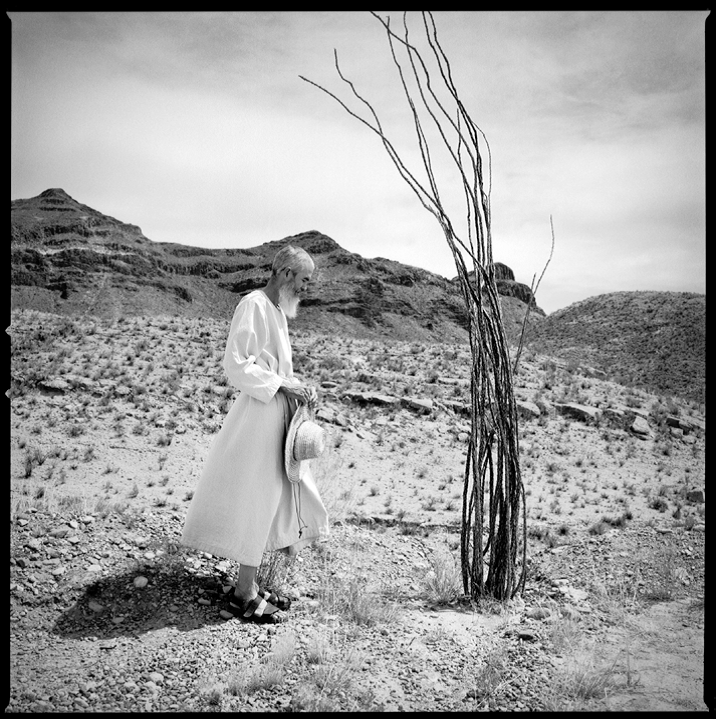 I encourage the viewer to examine the peculiarly timeless quality of life in Texas, where modern culture is inextricable from storied past. I drove past this old satellite dish a few dozen times and new I wanted to photograph it for my book but knew it needed another element…I just didn’t know what. Then one day I saw this contrail overhead, and I realized I could position myself in the perfect angle. It took me a few years for this monk to let me finally photograph him. Finally he gave me about 10 minutes of his time one summer day of which I am grateful for. This is a havalena skull attached to the stem of the lechugilla. To this day this “snake” is still wired to the owners’ (pictured above) fence. He took it down and posed with it per my request. 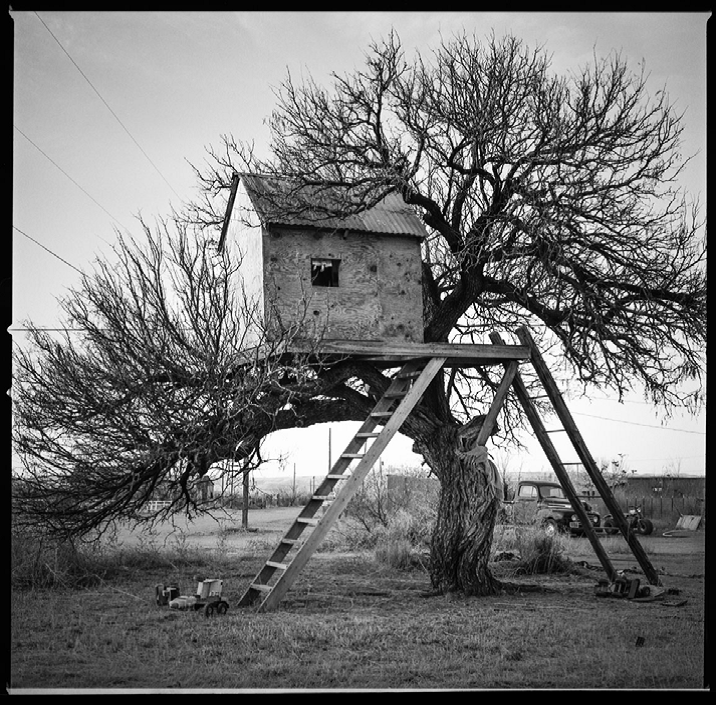 I photographed this tree house probably 100 times in all four seasons. This image, taken in winter, turned out to be my favorite, especially because this one particular time there was a doll hanging inside the window, which most people do not notice. You can see her dress and legs dangling. Previous Post A Sneak Peak At Our Upcoming Members Spring Sip and Shop Event!